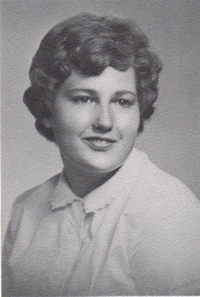 Obituary – Fulk, Wahneta Clare (Cowell) « Perry High School Alumni Association, Inc.
Wahneta “Clare” Fulk was born December 12, 1946 to Walter “Leroy” Cowell and Beverlyjune Ballew. She departed this life on September 9, 2015 at the age of 68 at Integris Baptist Medical Center, Oklahoma City, Oklahoma. Clare married Louis Edwin Fulk August 22, 1966 in Perry, Oklahoma. The family later added a daughter Leah Sean and son Lytle LeRoy “Chuckie”. Clare enjoyed gardening and canning, dehydrating and preserving her food. She also loved quilting and sewing, her chickens and her dogs. Her biggest joy was caring for her husband and her family. She is survived by her husband Ed of the home, daughter Leah Sean, Sister Jamee Le Clapper of Perry and sister-in-law Jean Hageman of Perry and her many nieces and nephews. Preceded in Death by her parents, son Lytle LeRoy “Chuck” Fulk, and brother-in-law William Oscar “Fred” Hageman. Graveside service will be held at 11 am, Saturday, September 12, 2015 at Grace Hill Cemetery Pavilion, Perry, Oklahoma. Memorials may be made to the Wounded Warrior Foundation, Feed the Children, or Oklahoma Food Bank, in care of Brown-Dugger Funeral Home, 1010 N. 7th, Perry, OK 73077.